BE SURE & CHECK OUT OUR SPECIALS! The Trails at Wolf Pen Creek is centrally located in the heart of Aggieland, just minutes from Texas A&M and Blinn College. 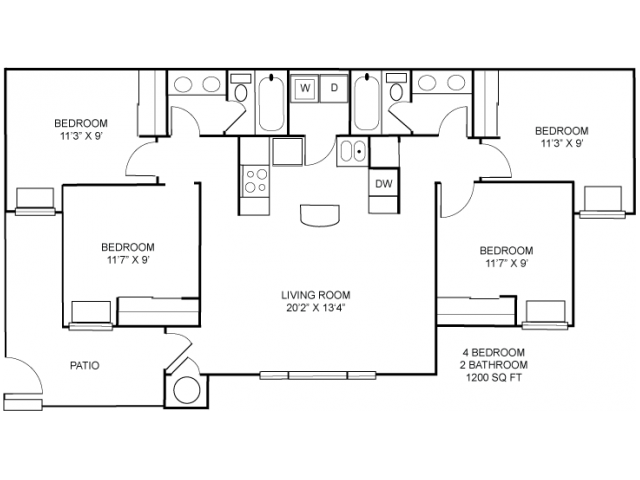 These College Station apartments for rent are in the prestigious Wolf Pen Creek District just around the corner from Post Oak Mall as well as numerous restaurants and entertainment venues. And we are not by the train! 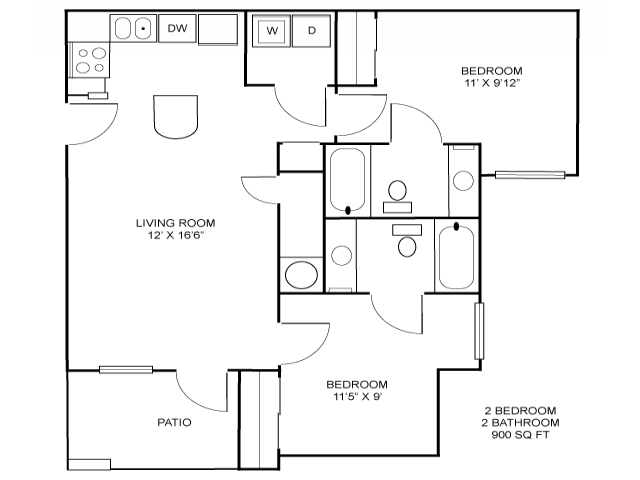 We have everything all the great apartments near Texas A&M offer, except the price. Our apartments come either fully furnished or unfurnished and are equipped with FREE High Speed Internet and Cable TV including HBO. 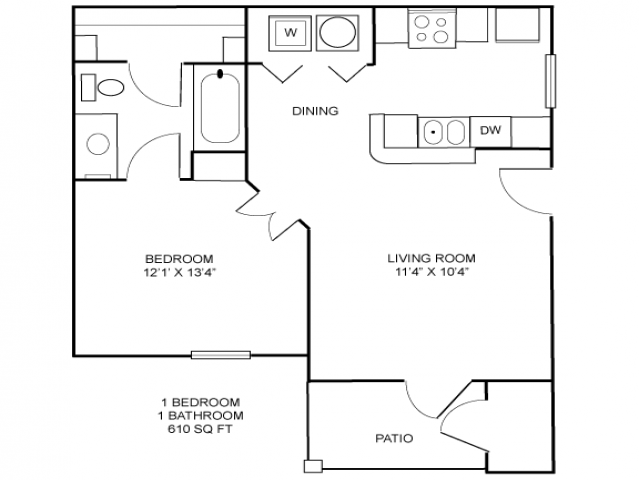 Units come with all major appliances including full size washers & dryers and microwaves. Our amenities are almost endless and include a fully-equipped fitness center, two resort-style pools, lighted tennis and basketball courts, a sand volleyball court, a computer lab, and game room with billiards just to name a few. We also offer the most flexible leasing options in town. Let The Trails take you home. The Trails at Wolf Pen Creek is the epitome of a helpful apartment community that puts the needs of its residents first. 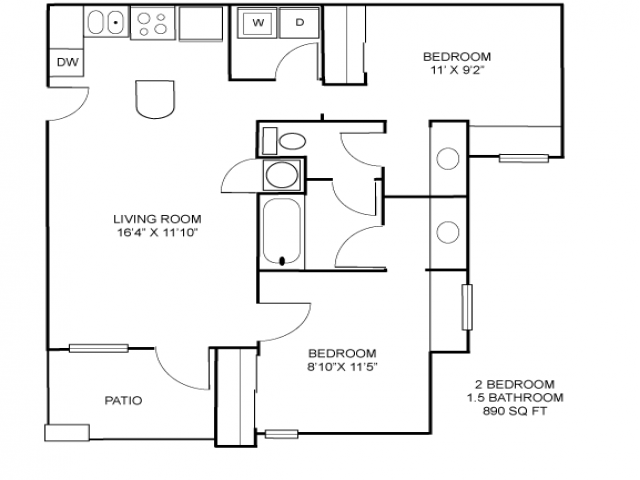 Starting with our floor plans, know that our Texas A&M apartments in College Station, TX offer one-, two-, and four-bedroom apartment floor plans that you can choose from to make a college home experience exactly the way you envision it. 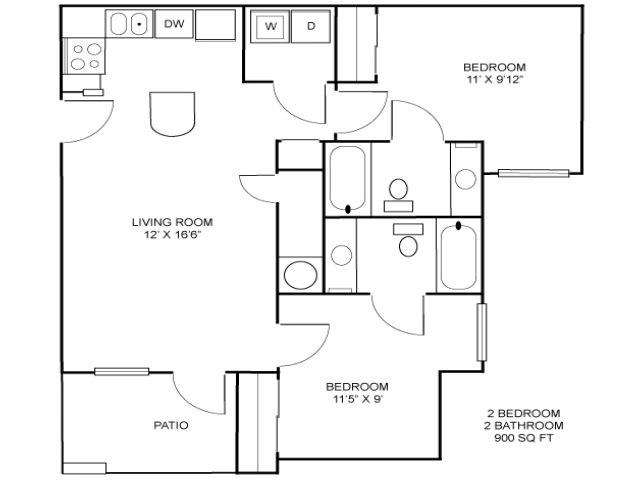 Our homes offer well-designed floor plans and amenities to put the personality in your home life. Here you can take advantage of online payment options, electronic keys and locks, wood finish floors, outside storage, furnished and unfurnished floor plans, and a full-sized washer and dryer. Use our 24-hour emergency maintenance, on-site management, free high-speed internet, free cable TV and various community amenities to enrich your days. We are located near Texas A&M University and Blinn College, and we are on the TAMU bus route. 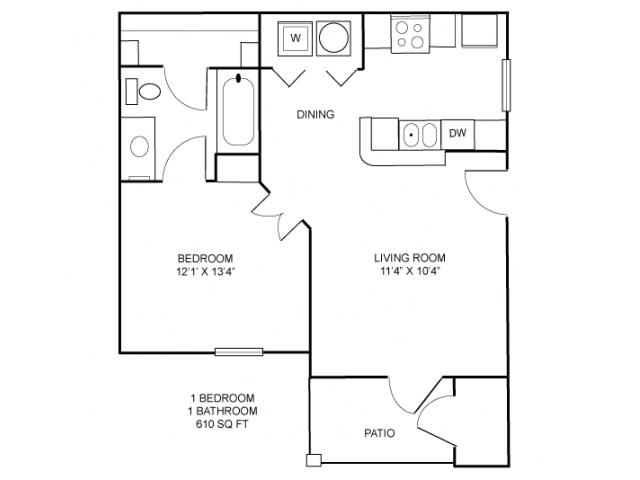 Stop by or contact us to learn more and to see our community and various floor plans in person. For a limited time, we are waiving the application fee for all lease terms. Click on "APPLY" at the top of the page and get started on your lease now. See how you can add some personality to a new apartment for rent in College Station, TX by flipping through the photo gallery of The Trails at Wolf Pen Creek. 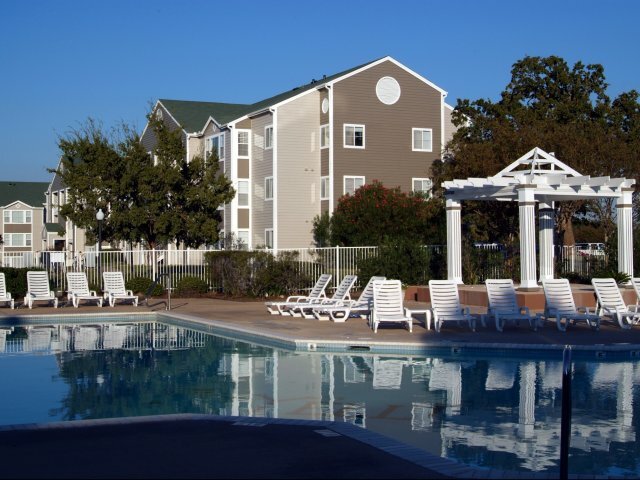 Our Texas A&M Apartments offer you beauty, comfort, and quality that you can't find anywhere else! We have provided a photo gallery to give you an idea for what life is really like here. We exemplify all the best qualities of student housing. We offer furnished and unfurnished apartment homes, and our spacious apartments are constructed with our residents in mind. They're stocked with helpful amenities, such as a dishwasher, ceiling fans, electronic keys and locks, and a full-sized washer and dryer. Community amenities such as a fitness center, business center, on-site management and maintenance, gameroom, and resort-style pools make hanging out at home your new favorite pastime. See all of these in person now that you've gotten a glimpse of them by visiting us for a photo tour! The amenities in an individual apartment home and the community it's in really breathe life into the whole apartment living experience. Learn how you can make the most of your time at The Trails at Wolf Pen Creek at College Station, TX by checking out our amenities. All the amenities and services we offer are for our residents' benefit, so start planning now on how you can use them in your day-to-day life. Make getting home from a long day at nearby Texas A&M or Blinn College easy by using our electronic keys and locks, whether you've traveled the close distance by car or the TAMU shuttle bus route we're on. Never miss a payment with our online payment option. Accomplish your laundry chores hassle-free with our full-sized washer and dryer in each apartment home. And exercise your athletic skills or simply relax at our basketball court, tennis court, sand volleyball court, resort-style pools, and more. You're sure to have a great time here. Contact us to learn more! Access anything you need from our ideal location in College Station, TX at The Trails at Wolf Pen Creek. Our Texas A&M off-campus housing is a prime option for students attending TAMU or Blinn College. It's also simply in a beautiful area of town near some of the city's best local shopping and entertainment. 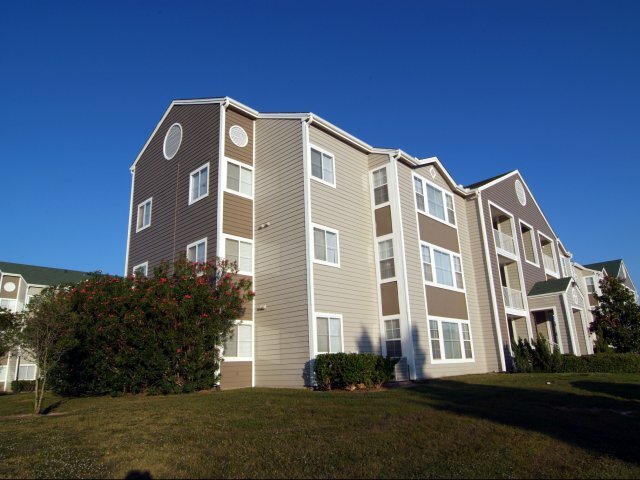 Our apartment community is just minutes from popular schools, taking the stress out of at least one aspect of college! We make it easy to get to school by being on the TAMU shuttle bus route. Schooltime aside, explore other areas of the city. Enjoy nature at one of the many parks close to us, such as Wolf Pen Creek Park, Central Park, or Bee Creek Park. Visit Post Oak Mall and the variety of other shops, and find a new favorite place to eat at one of the many restaurants just a couple blocks away. Contact us so you can schedule an in-person visit and explore the neighborhood yourself!